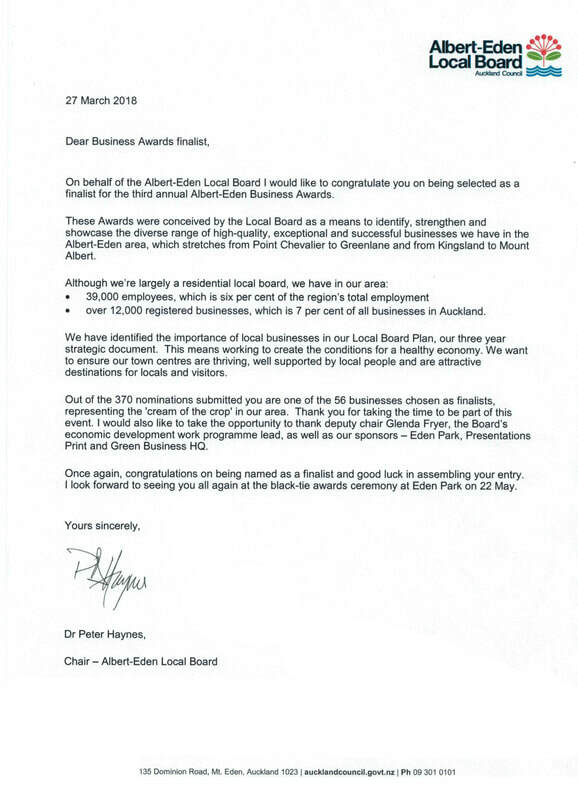 Our business has been nominated by the public in these prestigious annual business awards. 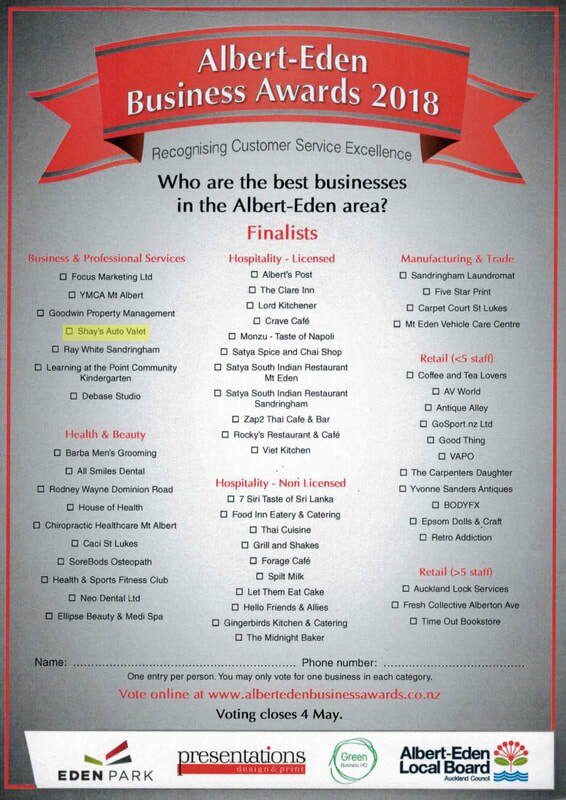 We have been selected as a Finalist, making us one of the best businesses in the area. 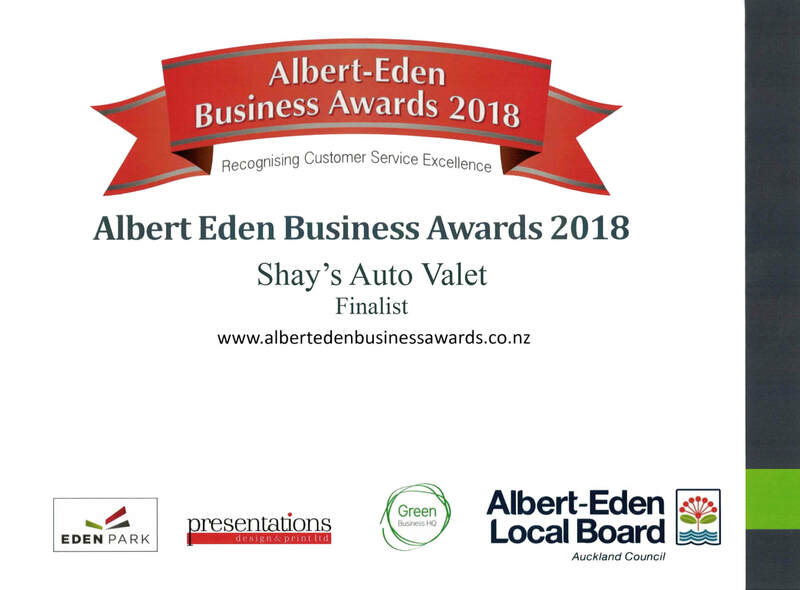 Out of 370 businesses, we are one of the 56 businesses chosen as Finalists. These are spread across 7 different categories. We are 1 out of 7 in the "Business & Professional Services" category. 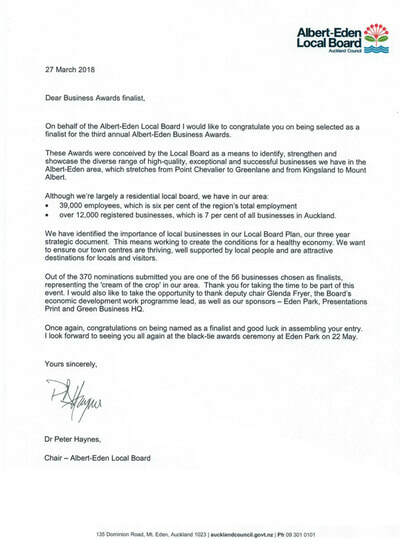 To top it all, out of 12,000 registered businesses in the local board(around 10% of all businesses in Auckland!) , we are the one and only Car Care / Valet / Detailing Service to be nominated and voted into the Finals ! or please click the button below. It takes only a few seconds. Meguiar's Car Care ran a competition to showcase detailing skills. 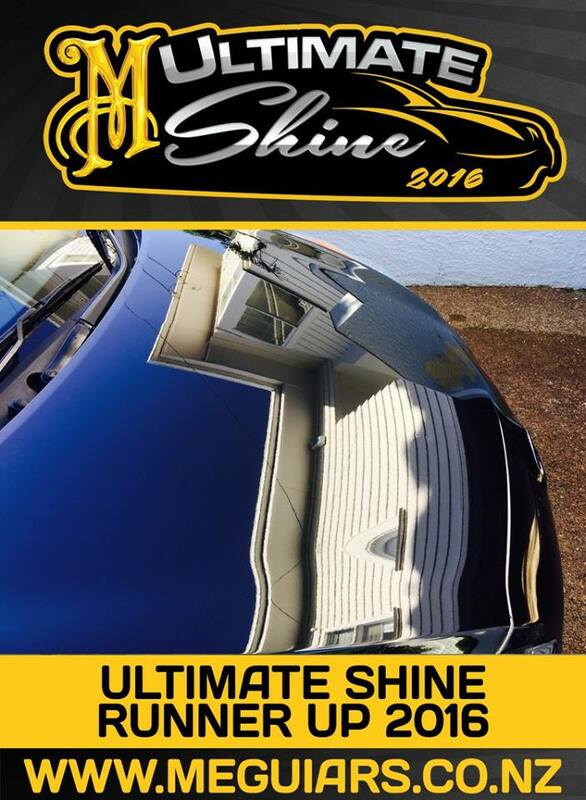 Participants had to work on a vehicle extensively and show off its shine. The complete step-by-step detailing process had to be explained, with photographs provided. There was a public vote and a Judging Panel selected us as Runner Up's. 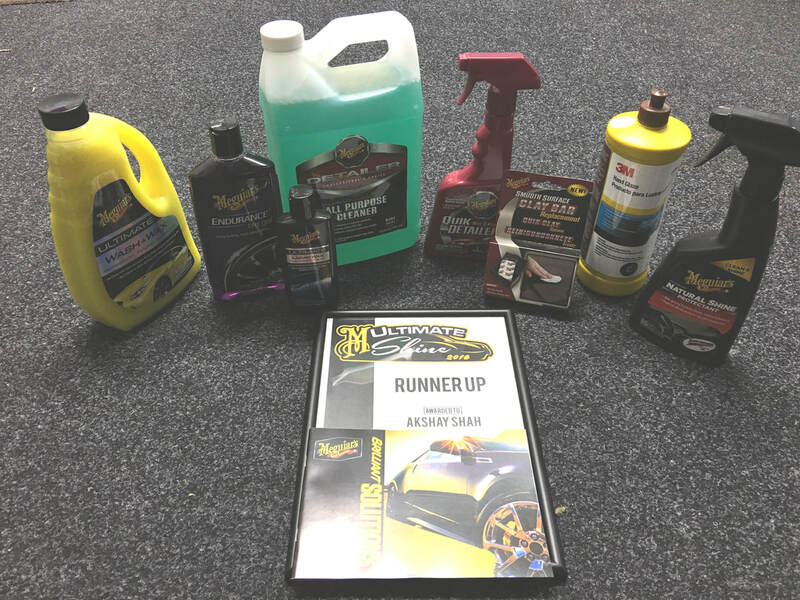 It was a great honour to receive the Award, which included a Certificate, Cash and a Prize Pack which included incredible Meguiar's Car Care Products, which we use extensively.